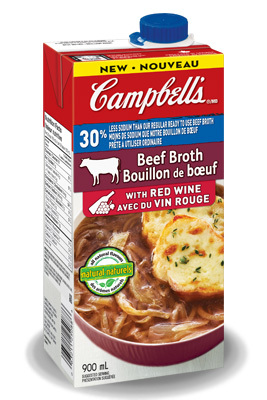 Campbell’s ® Beef Broth with Red Wine makes this restaurant favourite easy to make at home. It works well with broccoli, snap peas, green beans or Asian greens too. 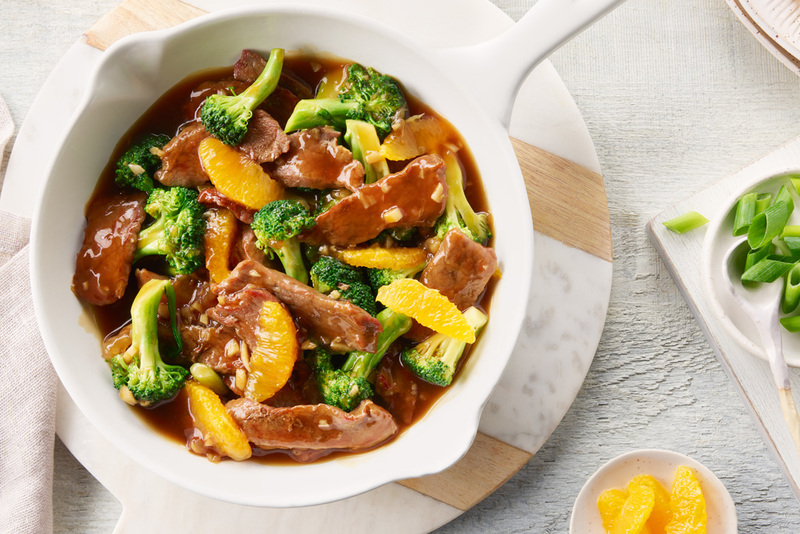 In a small bowl, whisk together oranges, garlic, soy sauce, Hoisin sauce and broth. In a medium bowl, toss beef with cornstarch until well coated. In a large nonstick skillet, heat oil over high heat. Working in batches brown beef on all sides, 3 to 5 minutes; transfer to a plate. Pour broth mixture into skillet, and boil until slightly thickened, about 1 minute. Add broccoli and cook just to tender crisp, about 3 minutes.